In most Vietnamese Buddhist temples there is a shrine to the monastic ancestors. Normally situated directly behind the main shrine, or in an ante-chamber, these are shrines dedicated to the elder monks and nuns whose lineage the temple monks now represent. Commonly, most of these shrines will contain an image of Bodhidharma, who most Vietnamese Mahayana monks consider their common ancestor. 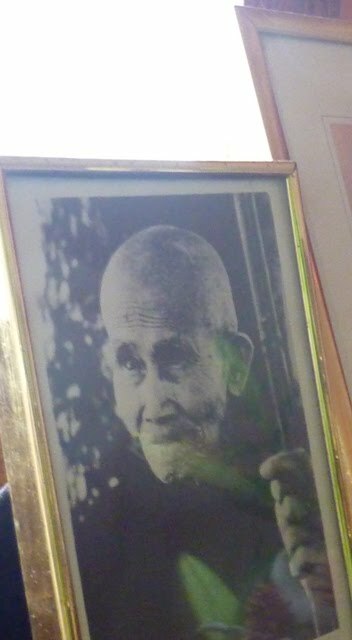 It is also not uncommon to find a photograph of the revered Vietnamese Buddhist Martyr Thich Quang Duc, whose example continues to inspire the Buddhist clergy across every shade of the political spectrum. 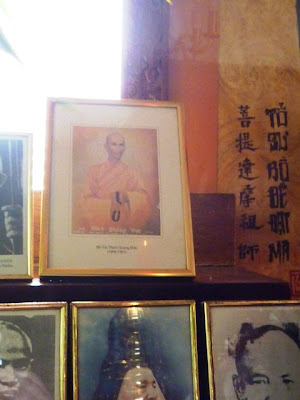 These are some images from the Shrine to Monastic Ancestors at Phap Bao Temple near Cabramatta. To find this shrine you have to duck beneath the large statue of the Buddha in the main hall. The photographs, paintings and calligraphed names of the Patriarchs are quite touching, and I often wonder if anyone at the temple really knows who they all are. I suppose someone must know, in order to have been able to assemble the shrine in the first place. When a monk joins the religious life he leaves his birth family and joins instead the new family of the Buddha. He abandons all of his old names and takes on the name "Thich" - the first part of Sakyamuni Buddha's name in Vietnamese. And, just as he would have offered prayers and memorials to an ancestor shrine at a private home (and just about every home has one in Vietnam), so he switches his affiliation to this new set of mysterious ancestors, the men (or women, if it is a nun) who represent that particular Buddhist lineage. It is a rich and fascinating area, and one which I'd like to study more, though I always find it awkward to ask specific questions about the people on the shrines - it seems kind of crass. There is remarkably little in English about Vietnamese Buddhism. Of course, I am excepting here the vast body of work of Zen Master Thich Nhat Hanh, who has almost single-handedly introduced Vietnam's distinct version of Mahayana Buddhism to the world. But so much of his writing is about Buddhist doctrine and practice, and is intentionally not culturally focused. For a real insight into Vietnamese Buddhist culture I recommend his book Zen Keys, which goes into some detail about his training as a monk in Vietnam, and is a great read. But the historical and cultural aspects of Vietnamese Buddhism are still largely unadressed in English, and were my Vietnamese language skills better I would like to do some academic work in this area. Indeed, the whole reason I went to learn Vietnamese in 1999 was so that I might be able to do exactly this kind of work. But I am by nature a lazy man, and so I never really acquired the necessary skills. I guess it's never too late. Anyway, I have on my desk two books that I will be reading this month that are absolutely fascinating, and very helpful to me as a lover of Vietnam and an amateur scholar of Vietnamese religion and culture. 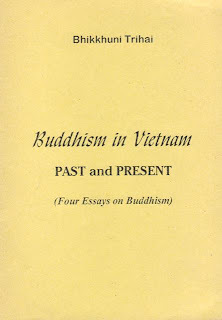 Buddhism in Vietnam: Past and Present by Bhikkhuni Tri Hai - this book was presented to me back in the 90s by the author herself. It is really just a pamphlet, photocopied and bound and distributed among the elder nun's friends and students. Bhikkhuni Tri Hai was Vietnam's most respected female Buddhist monastic, and lived on the grounds of Van Hanh Buddhist University, until her tragic death in a car accident some years ago. I was lucky enough to know her, and she was charming, wise and incredibly inspiring. 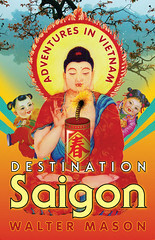 In fact, I have read this little book many times, and drew on it's information extensively when writing my own book, Destination Saigon. 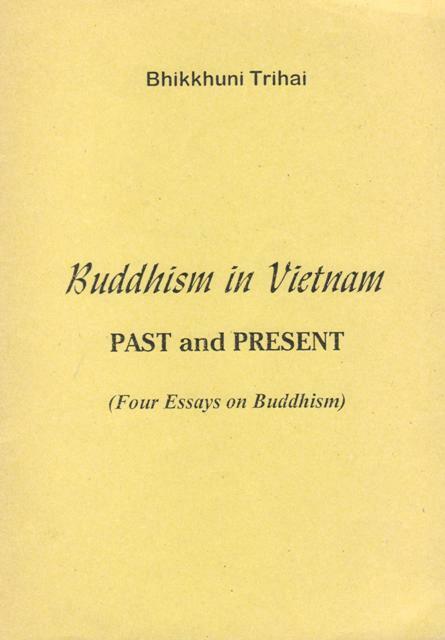 Elder Nun Tri Hai's view of Buddhism was eccentric and modern, and I find this book constantly challenging (in a good way) and a fascinating angle on the meanings of Buddhism and Buddhist monasticism in particular. 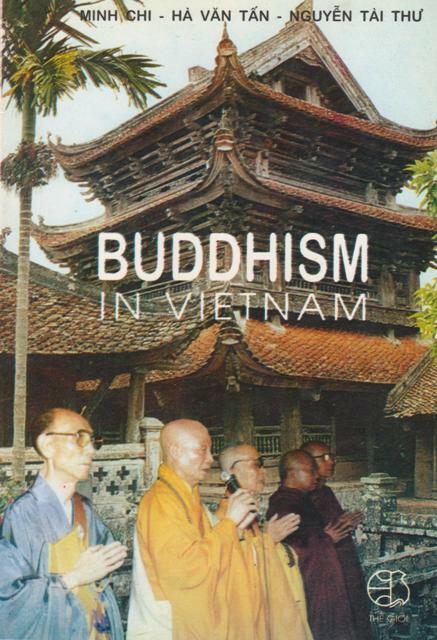 Buddhism in Vietnam by Minh Chi et al - A wonderfully shoddy paperback produced by the The Gioi government publishing house in Hanoi, this little book is deathly dull, but an excellent source of nuts and bolts information. It is easily available in bookshops in Vietnam that cater to foreigners, but be warned, it is not the kind of thing you'd read for pleasure. Indeed, even reading it purely for information can be a struggle, so woefully has it been translated. 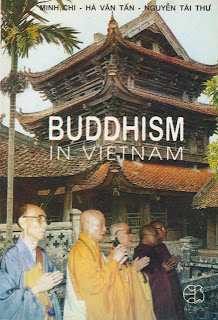 Nonetheless, it is the most thorough-going history of Buddhism in Vietnam, and all the names, dates and places are there. I have never actually read it cover to cover - I doubt it is possible. You know I am fascinated by the miscellaneous things that get left at Buddhist temples - statues, books, CDs etc. Many of these items are associated with the worship of Kwan Yin, the Buddhist Goddess of Mercy - she is easily the most popular figure of devotion in Chinese and Vietnamese Buddhism. 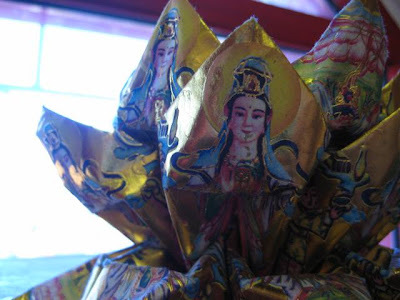 Last week when I was at Mingyue Buddhist Temple in Bonnyrigg I saw this beautiful origami lotus made from gold paper featuring images of Kwan Yin. I've never come across one of these before - I'm assuming they are made for offering on shrines, though this one was plonked unceremoniously on top of the free books shelf in the main hall. I desperately wanted to have it, but I was too shy to ask, considering it was the only one there.